New York city native, Mark J. is no newcomer to the game. 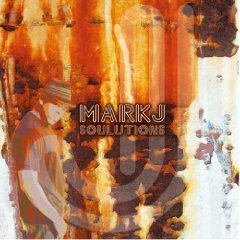 With solid albums such as “Concept After Concept”, “City of Pain” and "SOULutions,” Mark J has given us albums filled with above average lyricism, head-knocking production and meaty content. For the production of "SOULutions" (2007) Mark enlists the help of Tony Stone, Roahn Hylton and Anthony Delano. Mark J deals with real life trials and the importance of listening to the voice of God on the smoothed out "Cool of the Day". 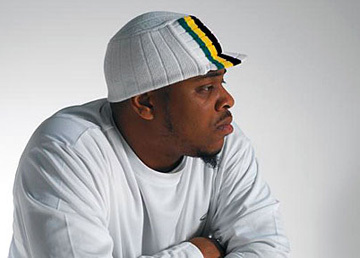 "Sweet Sugarcane", courtesy of Mark J's island-like flair, is sure to be a big hit of dancehall and reggae fans. "New Slave Trade" is one song that should not be skipped over. Mark J deals with the dangers of materialism and its effect on society. "God of Israel" is a hit where Mark J praises God for his wife and his child. "SOULutions" is an album that does not disappoint! 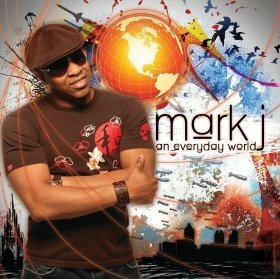 Mark J. released "An Everyday World" in 2009. With production from heavy hitters like Tony Stone, J. Pierre, Kid Classic, G. Styles, David Hackley, Juice 20/20 and Truth it’s no wonder this album is stellar on all levels when it comes to production. On this album Mark touches on topics from vanity on “Vanity Fair”, the nightmare in Darfur on “Darfur Dreams”, marital hardships on “Baby U Don’t Love Me” and bitterness and forgiveness on “Let It Go” just to name a few. From beginning to end you’re stuck on the beautifully crafted tracks with violins here and guitar riffs there that do the emcee good and not harm. It would be a tragedy for you not to pick this album up because this is simply an offering that cannot be found in an everyday world.